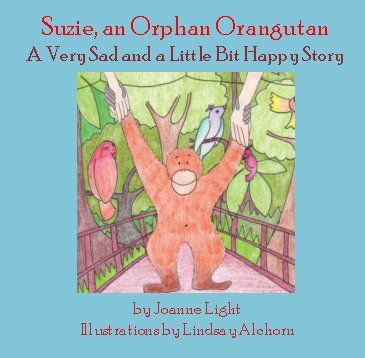 "Suzie, an Orphan Orangutan A Very Sad and a Little Bit Happy Story"
Help me save a special species! I am an elementary, art and ESL teacher, as well as a published writer (two hiking/adventure ecotourism guides, Nimbus Publishing; two poetry books). 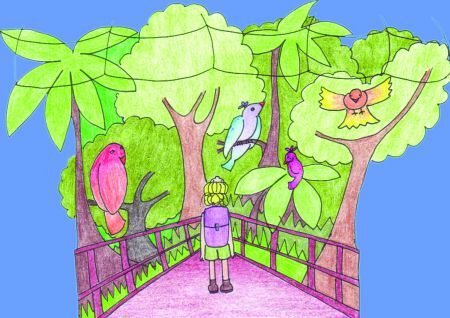 From 1998-2001 I taught elementary school in Brunei Darussalam on the island of Borneo in South East Asia. While in that region I hiked in the Sabah and Sarawak regions of East Malaysia. 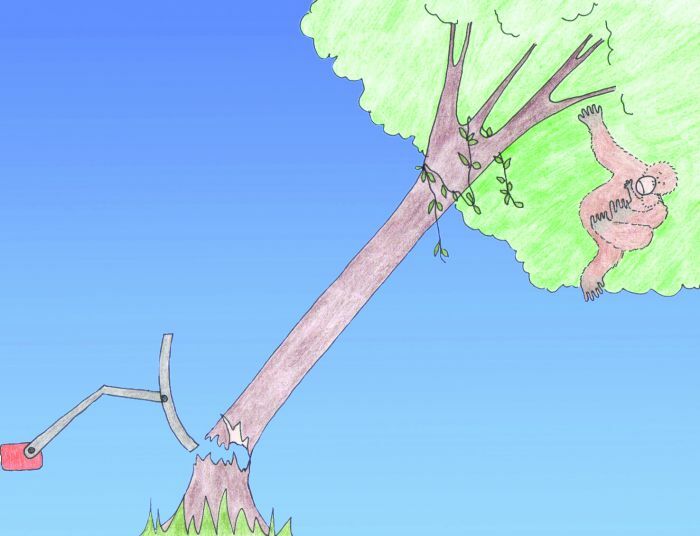 While visiting Poring Springs National Park in Sabah in 2003, I met an orphan orangutan on the park hiking trail. The park ranger had warned me the orangutan was living there by herself after her mother had been shot by a company from the palm oil industry, which had destroyed her rainforest canopy home. This baby had been undetected so had survived and was rescued by an orangutan rehabilitation centre in the area. Eventually, she was brought to live in the national park.The ranger advised me to take milk with me to give her if we met. Two years ago, hearing that orangutans were on the verge of extinction from habitat destruction for palm oil orchard planting, I decided to write the story of my encounter with this orangutan (that the park had named Suzie). 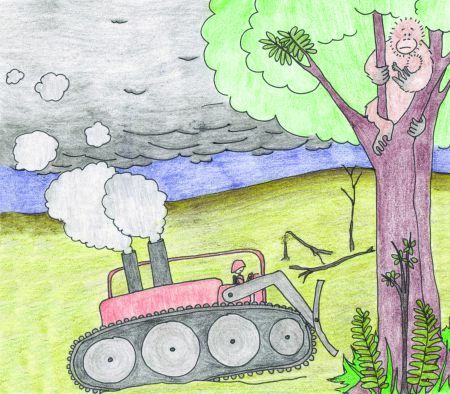 In the last year, I had the good fortune to meet a talented illustrator, Lindsay Alchorn, who conveyed the emotion, drama and facts of my story with charming full colour drawings. 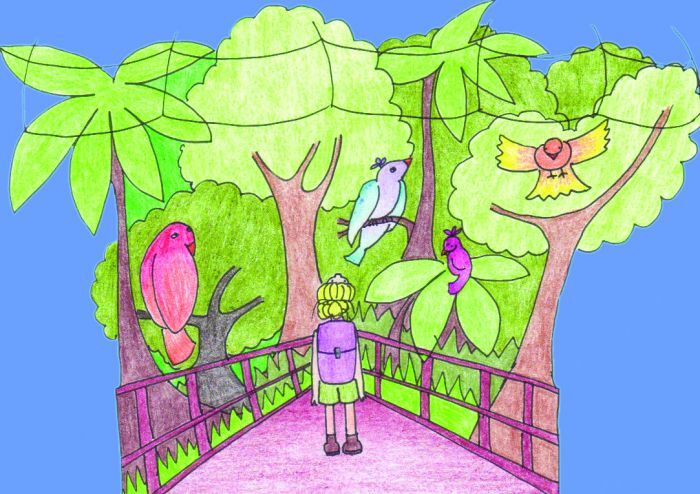 WIth the volunteer help of a software wiz, I have recently produced a professionally designed, press-ready, 36-page children's story book, "Suzie, an Orphan Orangutan/ A Very Sad and a Little Bit Happy Story," suitable for all ages, (with a supplemental ideas' section for students and teachers on how to help save the orangutan plus numerous research links available by emailing me). 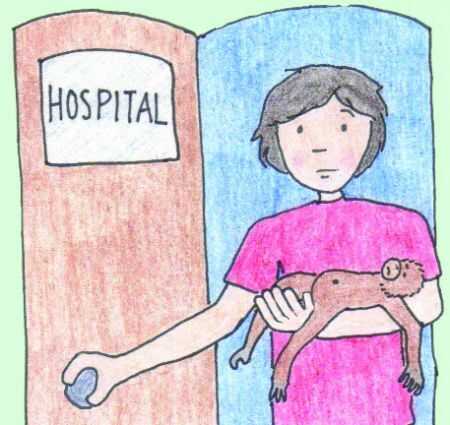 I have published a first edition of 750 copies for distribution in schools; libraries; websites that are working to save the orangutans and bookstores and for children, parents, teachers, environmentalists everywhere. It is for sale through me at jonilight3@yahoo.ca or at "The Medicine Shoppe" Quinpool Road at Oxford Street for $10. I will be donating part of the sales generated online to "Rainforest Rescue" and "Orangutan Outreach." The book comes in or with an attractive dark rust gift envelope for easy mailing for the holidays.